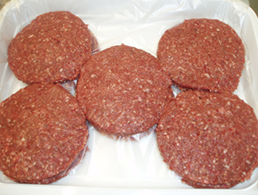 To compliment our range of Gourmet meats why not try our Venison Burgers (packed in cartons of 2, 8 or 25). ¼ lb Venison Burgers made fresh in our own butchery using 90% prime Venison steak. Packed in a tray and sealed for freshness.